I'm drowning in scanned images that I haven't really looked at yet. And I really hope that there is a nice series somewhere in there. But to start the weekend, a baseball image. 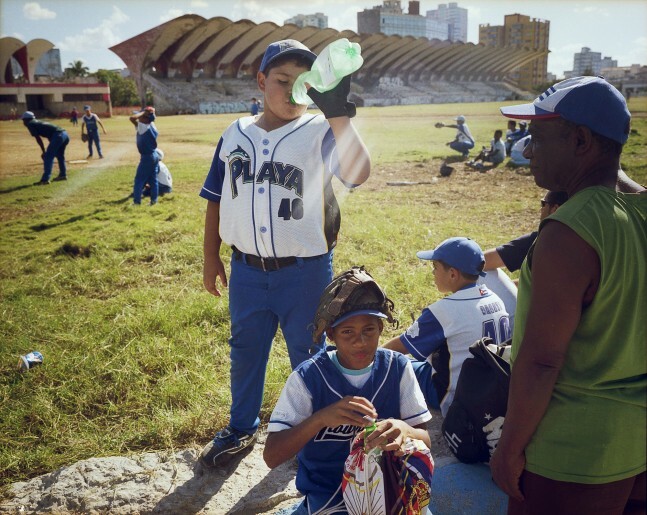 Two neighbourhoods from Havana (Playa and Plaza) playing against eachother on a hot winter's (!) day. Playa won, yeah!! !